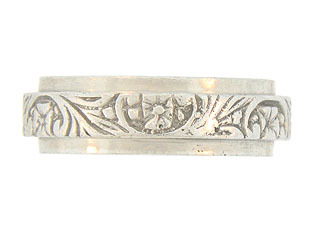 This lovely vintage platinum wedding band is engraved with a whimsical pattern of organic leaves and pansy blossoms. The central band is framed by a pair of thin outer bands. 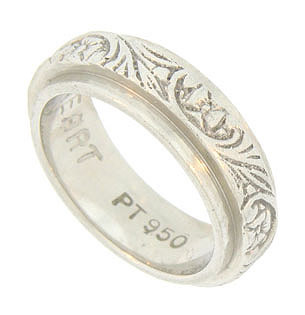 Inscribed "My Heart". 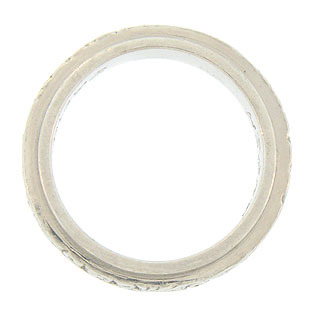 The Retro Modern wedding ring measures 5.71 mm in width. Circa: 1940. Size 4. We cannot re-size.